NEWCOMERSTOWN, OH, USA―Boltaron 4335 proprietary PVC/Acrylic sheet for thermoforming and fabrication offers a UL 94 V-0 fire rating, exceptional physical properties and an unlimited selection of colors and textures, according to Adam Mellen, Director. The sheet offers Izod impact resistance of 18 ft lbs/in (954 J/m) and an ASTM D-790 flexural modulus rating of 330,000 PSI (2275 Mpa), significantly improving the durability of formed and fabricated components versus FR-ABS and other competitive sheet, says Mellen. It is non-hygroscopic, eliminating the time and costs associated with pre-drying of other thermoplastics, and is said to be free of surface inclusions. Readily formable, the sheet reportedly maintains uniform wall thickness in deep recesses and on outside corners, where the greatest durability is typically required. 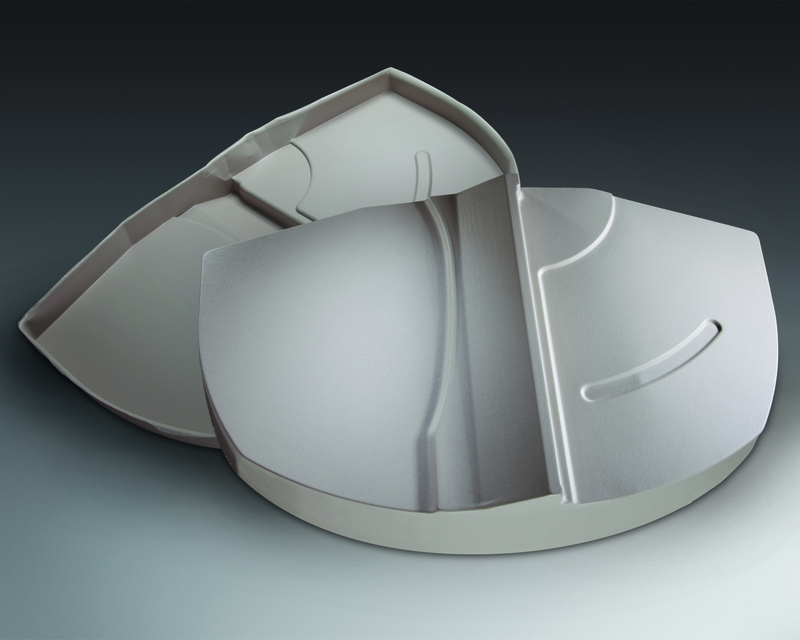 Applications include thermoformed and fabricated medical device enclosures, electronic equipment housings, kiosk housings, store fixtures, displays, kennel housings and other components intended for demanding environments. The sheet is offered in gauges from .028 to .250 in. (0.71 to 6.35 mm), widths to 60 in. (1524 mm) and lengths to 120 in. (3048 mm) with custom sizes on request. According to the manufacturer, the sheet resists abrasion and harsh chemicals, allowing repeated cleaning with no staining or fading. The company produces over 50 grades of proprietary sheet products rated for aircraft interiors, mass transit vehicle interiors, commercial/institutional building products and diverse industrial applications.